For all of you Dark Souls fans, it's time to praise the sun once more. Dark Souls III has been officially announced, and while we don't have many details, there's plenty of reason to be excited by this announcement. In the weeks leading up to E3, "leaked" screenshots of Dark Souls III were released by The Know on YouTube, giving us an idea of what the game's world might look like. Unfortunately, we still don't know if there's any truth to these photos, as we were given only a CG trailer, but we do know a few things about the game. The first thing to note, and probably the biggest deal to fans of the series, is that Miyazaki will be directing once more. Miyazaki took an advisory role for Dark Souls II, and it resulted in a noticeably different product, one that many disliked. 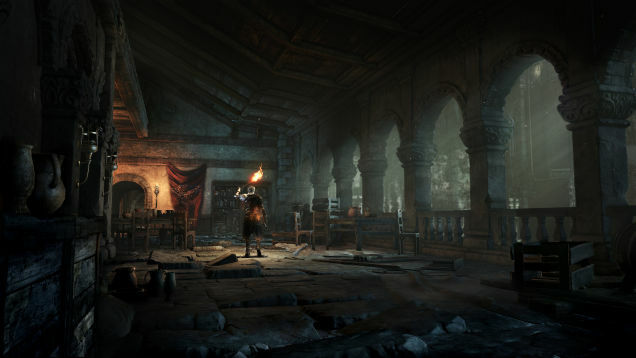 It's expected for Dark Souls III to come to both Playstation and Xbox, with the possibility of a PC port (please!). While these are only suggestions, and not confirmed, we have a few things that are expected to be seen in the final release. In terms of multiplayer, we can expect 1-4 player online play, which is more or less standard for the Souls series at this point. Invasions seem to be making a return, which is not surprising, though apparently entering another world will put a bounty on your head, so it will be interesting to see how this will play out. Players will also be able to change the world in ways that will effect the bosses you encounter, as well as equip "sword arts", which allow them to perform special moves. Sounds pretty awesome to me. With all of that being said, this is the final entry into the Dark Souls series, which is the only downside to all this awesome information. Hopefully, this will send the series off in a bang, though only time will tell. How many of you will be picking up Dark Souls III? What would you like to see in the final product? Lets us know below!